Trust your property to Michigan's top-rated low slope and flat roofing contractor. Since 1972, M.W. 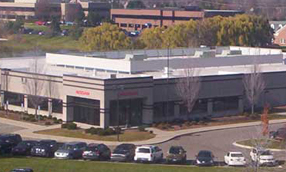 Morss Roofing has been a leader in the commercial roofing industry in Southeast Michigan. From small repairs to large re-roofing projects, we are dedicated to ensuring complete customer satisfaction. We specialize in Duro-Last, a single-ply, pre-fabricated mechanically-attached roofing system. Contact us today for a free estimate. Our experienced specialists will provide you with a detailed roof analysis and recommendation based on their evaluation, your needs, and most importantly, your budget. Browse our gallery to see why our work has won the Master Roofing Award every year since 1990.